Secret societies can be traced back to the Satanic king of ancient Babylon, Nimrod. They were established after Nimrod was executed for the crime of publicly reinstating witchcraft and idolatry. To preserve this Satanic worship a secret system of Satanism had to be established. Through secret societies, the Babylonian system of Satanism was preserved. From this system, Anti-Christ will arise, and will try to destroy God's system, as has been the plan from the beginning. Please watch this very important video message. Revelation 12:3, “And another sign was seen in heaven; and behold a great red dragon, having seven heads and ten horns, and upon his heads seven diadems”. This "sign" also is seen "in heaven," and we are not left in any doubt as to what it signifies. 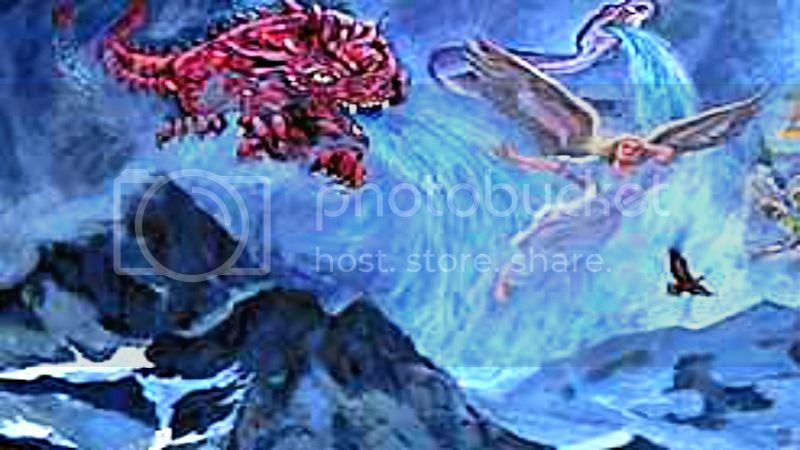 Revelation 12:9 explains to us that "the great red dragon" is "that old serpent called the Devil (Slanderer) and Satan (Adversary)." He has seven heads and ten horns, and upon his heads seven diadems. These are the "signs" of the universality of earthly dominion: for Satan is the "prince of the power of the air" (Ephesians 2:2), "the prince of this world" (John 12:31; 14:30; 16:11). As such, the Lord did not dispute his claim (Luke 4:5-7). His colour is the colour of fire, and of blood. This is a "sign" of his cruelty and blood-thirstiness (John 8:44. 1 John 3:12), and of the war which he makes "in heaven" and "on earth." The heads and horns and crowns are manifestly the "sign" of earthly power, gathered up in him: for to whomsoever he will he gives or delegates it (Luke 4:6-7; Revelation 13:2). Here briefly is the authority and power of the woman's enemy set before us. Revelation 12:4, “And his tail draggeth down the third part of the stars of heaven, and he cast them to the earth”. So we have seen, “The Woman” is the "sign" of the Nation of Israel as a whole; and the object and action of the Devil could not be more clearly stated. But HERE in Revelation 12:4, we are again taken BACK to the beginning of things; to Satan's first rebellion, and to the angels who fell with him. This is surely the "sign" of Satan's power among the angels; as the heads and horns are a "sign" of his power among men on the earth. It seems clear from this that the third part of angels followed him in his great rebellion. And so it came to pass that today, (as we saw in our video entitled, "Woman and Child. Revelation 12:2"), Coma Berenice (the hair of Berenice), sits in the place of the woman and child..."the Desire of all nations." But long before the constellation had been changed, its real signification had been lost and perverted. Naturally, when the promises and prophecies had been written down in the Scriptures of Truth, the meaning of the signs and constellations, and the very names by which God had called the stars, would fall into a state of disuse or inactivity, and became gradually forgotten. This would lead to the easy perversion of their meaning by those nations who did not possess the Word of God. Hence this constellation of the "woman and child" passed into the Babylonian and Egyptian mysteries under the names of "Isis and Horus"; and then, from the pagan mysteries, the picture passed into Romanism, with many other symbols and doctrines. So closely is Romanism allied to Paganism, of which it is the outcome, that those who do not see the difference between Paganized Christianity and Bible Christianity, draw the false conclusion that Romanism is merely a corruption of Christianity, whereas it is little more than Christianized Paganism. Hence it was that, the real meaning of "the woman and child" having been lost, the symbol was then Paganized, and it is now believed that representations of it as being "Isis and Horus" were so common, long prior to Christianity, that "there was not a house where it was not found." THEN, many of these Pagan symbols, rites, and ceremonies were brought INTO "Christianity" by the Greek “church” Fathers, who were converts from Paganism, and had not renounced or lost their teaching and training. So NOW, what we have here, in Revelation 12 is the fact that God is going right back to the beginning, and in spite of all the opposition of Satan and the perversion of Primitive Truth by paganism, He is showing us His purpose in this closing book of Inspiration, which is to take us back to the causes of the great Apostacy, and onward through the great Apostacy, which is close upon us, to its final confusion and destruction. This is why we have, here, GOD’s vindication of those "Signs" by which He first promulgated His great primeval promise, and His own Revelation as to its final accomplishment in the crushing of the serpent's head. Ok, it is clear, so far, that the woman is the "sign" of Israel, viewed as representing the nation as a whole. Israel is thus personified, with the marks, which characterize the nation in its constitution and in its hope. Having now given the great "sign" of the "woman," we next have "another sign in heaven", the woman's enemy. "And the serpent cast out of his mouth water as a flood after the woman, that he might cause her to be carried away of the flood. 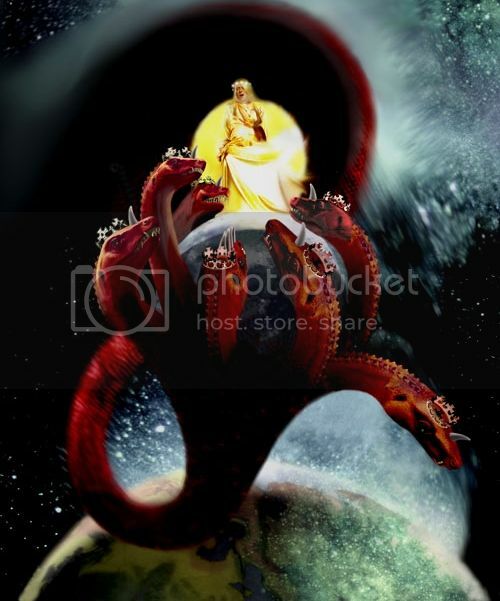 And the dragon was wroth with the woman, and went to make war with the remnant of her seed, which keep the commandments of God, and have the testimony of Jesus Christ." The Book of Revelation 12:15-17. Please watch this very important message. And she being with Child cried, travailing in birth, and pained to be delivered." The Book of Revelation 12:1-2. Please watch this very important message. 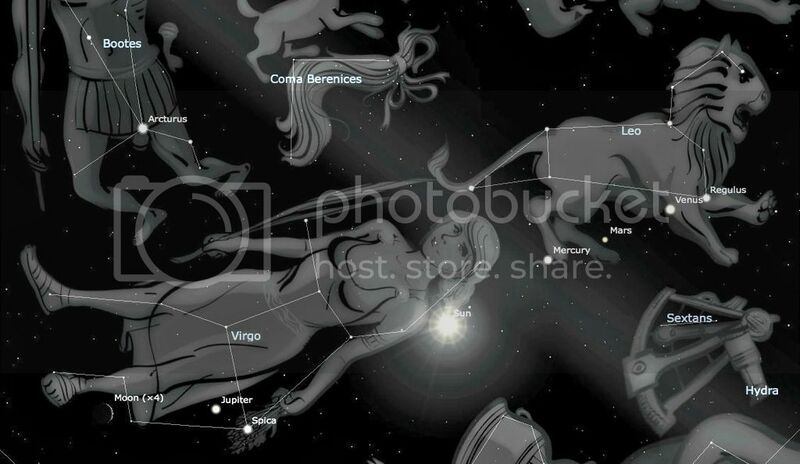 These twelve stars, constellations, are thus associated with Israel in the persons of Jacob, and the twelve Patriarchs. These constituted and represented the whole nation in embryo. Their presence here in Revelation 12 tells us that God is about to reveal His own truth, to expose the foolishness of all the devices of the heathen, expose their false use of His own handiwork; and, as He smote "the gods of Egypt" when He delivered Israel then, Jeremiah 43:12-13 and Jeremiah 46:20, so, when He is about to deliver Israel again, He will execute His judgment on the gods of the heathen, by showing that their perversions of His primal promise will not affect its fulfillment; but all their mythological gods, the paleidians, the ascended masters, channeled spirits, and consciounesses, the aliens, all that garbage that people are worshipping today, shall be helpless and useless to deliver them out of His hand. Now, I have to bring this up here. Why at this point do disillusioned expositors bring up The Body of Christ and try to introduce it here? These commentators say "the whole symbolism points to it." WHAT?!? On the contrary, the only like symbol in the whole Bible connects this woman, as she is here arrayed, with Israel. What has the Body of Christ got to do with Genesis 37? Are we to look for the Body of Christ there? If not, then why look for it here, in Revelation 12. Jacob, his wife and his twelve sons, may well be taken as a most fitting interpretation of the sign of the sun, moon and twelve stars: but the Body of Christ has no connection whatsoever with these. Further, Israel is again and again compared to a woman, and a married woman, in the Old Testament, as we see in Isaiah 44, etc. Also, in her time of rejection, she is compared to a widow (Isaiah 47, Lamentations 1:1, Luke 18); and a divorced woman (Isaiah 50, and Jeremiah 3); but not the Body of Christ. And nothing of what follows can be anywhere properly understood to be the Body of Christ, the Mystery. Now, if you have been following the videos of the Lion and Lamb Ministry, then you are fully aware, that we believe that the Body of Christ, The Mystery, is Raptured or Harpazo’d before the pages of The Book of Revelation even open. That this Book is concerned with Israel and NOT with the Mystery, The Body of Christ is sure. Look, if you re-read all of the Apostle Paul's letters, praying as you do, the word "MYSTERY" will keep jumping out at you...Ephesians 3:2..."If ye have heard of the DISPENSATION of the grace of God which is given ME to you-ward", and Ephesians 3:5..."Which in OTHER ages was not made known unto the sons of men", and Ephesians 3:9..."And to make all men see what is the fellowship (the DISPENSATION) of the Mystery, which from the beginning of the world hath been hid in God, who created all things by Jesus Christ". Like a lightning bolt this will became clear. You see, this Age of Grace that we are currently in, is an "ANOMALY" in the Prophetic Timeline Plan. 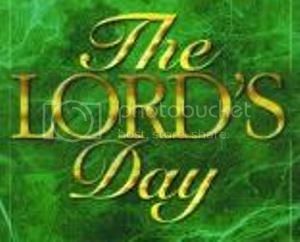 No one...not Satan, the Principalities, Demons, Rulers in High Places, NO ONE, saw it coming. Only God Himself, within whom it was hid. 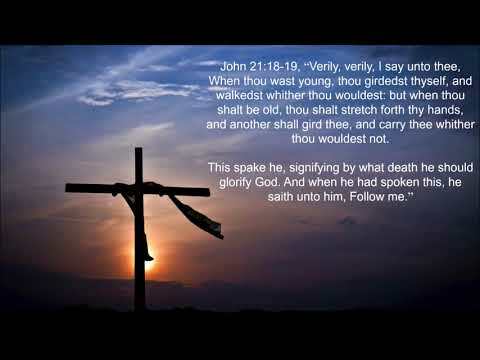 1 Corinthians 2:7-8..."But we speak the wisdom of God in a Mystery, even the hidden wisdom, which God ordained before the world unto our glory: which none of the PRINCIPALITIES of this world knew: for had they known it, they would not have crucified the Lord of glory." Ahh, The Age of Grace! Satan hates Grace. Can't fight Grace. You can trip people up all day in Religion. Trying to follow The Law...Satan can work with that. Can't work with Grace though. Satan has worked hard through the centuries, to try and get Grace brought under the Law. Starting immediately with the message of Grace from the Holy Spirit through the Apostle Paul. We see that with the Galatians. But the Spirit tells us through Paul in Romans 11:6..."And if by grace, then is it no more of works: otherwise grace is no more grace. But if it be of works, then it is no more grace: otherwise work is no more work." So here it is....The Mystery is that God is forming a joint Body of Jews and Gentiles, saved and brought together by Grace through Faith, which is the Body of the BrideGROOM, The LORD Jesus Christ!! 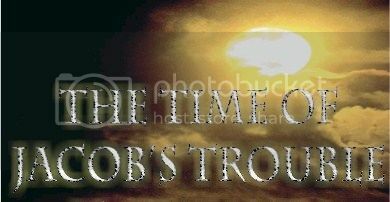 Once the last person of the BrideGROOM's Body is in, the ANOMALY will be removed (by the Rapture/Harpazo) and the Prophetic time line for Israel will resume, unabated. So There you have it.